The South has many dark tales of hauntings. For years it has been stated the following tale is true. In the mid 19th century Edisto Island located an hour south of Charleston, South Carolina was dotted with cotton plantations. It was said this island produced some of the best cotton in the South. Unfortunately, the island also was a breeding ground for what at the time was one of the most feared diseases in America, Diphtheria. This disease was particularly deadly because most of its victims were children. Edisto Island is mostly wetlands and its dense, hot, muggy weather in combination with stagnant water helped spread this disease. One wealthy cotton planter and his family, a wife, daughter, and son lived near the northern coast on the island. There was a breeze in this area but his daughter one summer became ill. The slaves that cared for her panicked for her symptoms, a sore throat and a high fever meant one thing to them-Diphtheria. Over the next several days the father watched, helplessly as his daughter’s condition worsened. Diphtheria is an insidious disease that causes a person’s throat to swell—known as bull neck—it literally kills its victims by strangulation. Frustrated the planter watched his daughter slowly die from suffocation. On the island when a person died it was imperative they be buried right away for the heat sped up the decomposition of the body. An important note in this story is the family waited several days for a close family relative to arrive before placing the daughter’s body in the family crypt. The stench from bodies during this period was so unbearable that people took “nosegays” with them to funerals, not to honor the deceased but instead to help them bear the smell. Because of the delay the father could not find anyone to help with his daughter's body so he carried her body himself to the family crypt—oddly the family was so grief stricken they did not take note of the fact that the young girl’s body appeared as fresh as it was while she was alive—the planter placed her on a slab within the crypt and shut and locked the door. Ten years passed and the son, now a young man, went off with his regiment to fight in the Civil War. His parents were very proud, but tragically like so many soldiers he was sent back to them in a pine box. The family once again gathered at the crypt to say farewell to their son. 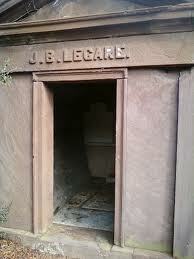 But as they opened the crypt door another nightmare awaited them. To their horror the family found the bones of their daughter on the floor near the door. The bones of her fingers where shattered and frayed. The father discovered deep scratch marks on the door. Finally, remembering the state of his daughter’s body as he placed her on the slab, he now understood she was still alive but he had sealed her fate when he locked the crypt door. It appeared she had woken out of an apparent coma and crawled across the floor in the dark tomb attracted by the only light—which passed through the door’s keyhole. She had dug small holes in the door in her attempts to get out. People after stated that they heard screams the day after the girl was placed in the crypt but since they seemed a far way off they ignored them. This story doesn’t end here for several days after the family placed the son’s coffin in the crypt, the door, which had once more been locked, was discovered open ajar. Not thinking anything about it the family re-locked it. But the door was found standing open a few days later; this time the family sealed the door tightly. Within a few days the door was wide open again. A friend of the family was enlisted to help seal and lock the door permanently; afterwards he assured the family that the door would now remain closed. But the family was told a week later that the door was completely off its hinges and lying on the ground. At this point the family had the door embedded into the floor of the crypt and then they had the remains of their family members buried. 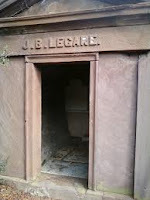 This crypt is still near the woods behind the Edisto Presbyterian Church, which was established in the 1830s. Recent witnesses state that the scratch marks can still be seen on the embedded door. 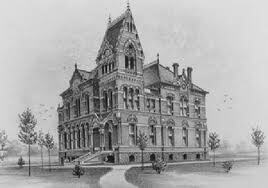 Willard Library located in Evansville, Indiana is the oldest library in the state—as of this month it has been a continuous running library for 127 years. Willard Carpenter founded the library in 1885. The portrait of Willard’s daughter, Louise Carpenter, hangs in the library. It is her ghost some state, known as ‘The Grey Lady’, which haunts this old Victorian Gothic style building. The first sighting of this ghost was recorded in the late 1930s. A custodian who worked in the building went to the basement around 3:00 a.m. to stoke the coal furnace. What he saw there startled him so that he dropped his flashlight. He stated he saw a lady dressed all in grey—from her shoes to her veil—as he entered the basement. Shocked, he saw her just “dissolve into the shadows.” Shortly after this he quit. Since this initial encounter there have been numerous sightings of the Grey Lady --she is seen in the Children’s Room and hallway in the basement and on the second floor in the Special Collections/Archive department. As well as witness accounts of this apparition there are countless unexplained occurences that have happened in the library. Many employees and patrons over the years have seen books fly off the shelves without cause. The Grey Lady announces her presence with cold spots and with a distinct perfume aroma. She is known to be a prankster. She likes to pull chairs out from under tables. An elevator either doesn’t move for passengers or moves up and down when no one is using it. Water taps in the basement restroom turn on and off and footsteps are heard when no one is around. On many occasions visitors or staff, have felt their hair and earrings touched by an unseen hand. Items are moved around over night and other items appear the next morning that shouldn’t be in the library. One newly hired employee sat in a chair during one packed staff meeting on the second floor, the area was so cold she had to get up and leave the room to warm up. When she returned she wondered why no one had taken her seat—only to discover later that day the chair was no longer in the room. She asked the director where the chair was and described it, he told her a chair of that description had never been in the library. A group of visiting lecturers from the University of Southern Indiana State saw the ghost as she “peered into water.” A local news meteorologist while waiting for his camera crew to set up saw several books fly off the shelves near him on the second floor. One ghost investigator upon seeing the portrait of Louise commented that she wasn’t very attractive. This investigator felt so uncomfortable after this she had to leave the building. One late night two police officers responded to a call that the library alarm was sounding. When they arrived one officer went into the building with the male director of the library that had responded as well, as these two went inside the younger cop stayed outside to inspect the grounds. As he looked up at a second floor window he saw a woman standing inside with a man standing behind her. When his partner and the director came back outside this officer asked if they had caught them. The two replied that no one was in the building. At which point they told the young officer that he must have seen the ghost. This officer admitted he had never heard of The Grey Lady. When the Children’s Library was being renovated the librarian, Miss Margaret as she was affectionately known,* stated that the ghost of The Grey Lady followed her home on several occasions during this period. Because of all this activity the Willard Library has even set up 24/7 ghost cameras in several hot spots. The public can view the Children’s Room, basement hallway, and the Research Room. Just click on the links below. * Miss Margaret has passed away. You can see a photo of Miss Margaret in an oval frame on the wall when you view the Children's Room. The library has a new set up for their ghost cameras. Here is the link to where you view 3 different spots in the library. If you see something click on the video and you will capture a picture that you can then submit to have it shown on their web site. Penn State oldest known ghost story is about, believe it or not, a little ghost mule. 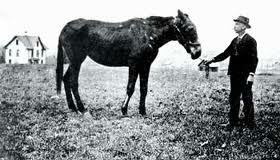 Coaly was a pack mule that came to Pennsylvania from Kentucky in 1857 with his owner, Piersol Lythe. The university hired the mule on a day-to-day basis to help build the original five-story Old Main building—Coaly’s job was to bring limestone from a nearby quarry located near what is now the intersection of College Avenue and Pugh Street. After the job was complete in 1863 the university purchased the mule for $190, which was a huge amount of money for the time. At first the mule was kept on the lawn at Old Main and later at the farm. Coaly’s service to the university spanned 30 years. He helped with the landscaping and construction of various buildings at Penn State. 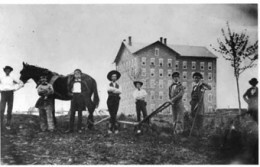 In the 1800’s many students were required to work on the university farm as a class requirement, many of these students formed a bond of affection for the little mule. As his remains were moved over the years from place to place around the campus the ghost of the little mule was still seen and heard. Even when his bones were given a more “visible” location in the Agricultural Building it seems Old Coaly was still not happy with this new location. Today from time to time startled students and staff still come forward to report they have seen the spirit of Old Coaly. People have stopped claiming that it is a result of a student prank because the idea that students from one generation to the next would keep it going is highly unlikely. In fact many Penn State students today do not know the Old Coaly story. * It wasn’t until 1906 that the Penn State student body chose the Nittany Lion (a mountain lion) as their official mascot. ** When Penn State celebrated their 150th anniversary—university officials had Old Coaly’s skeleton placed in a glass case and moved to the HUB, Robeson Center--the student union building and campus auditorium. *** Penn State rebuilt Old Main in 1930 on almost the exact location of the original building that burnt down. I love browsing through old newspaper accounts about ghosts, especially those written over a hundred years ago. One such article entitled “An Armed Ghost in Sag Harbor,” published in The New York Times in December of 1895 is one of my favorites. It has the distinction of being about a ghost that would hide behind bushes and jump out at people as they passed by. The PDF archive of this article is free at the New York Times web site, if you don’t have an account to view the link below just sign up by putting an email and password in. According to this 1865 article the women residents of Sag Harbor, New York were staying at home because they were scared and the men instead of walking home alone were opting to walk in groups. The article states that this ghost was often seen along the side streets of the village where there was less traffic. The ghost was described as over six feet tall and wearing a distinct tall hat. The victims of the ghost were all men walking through the village at night. From their accounts not many stayed around long enough to get a good look at the ghost. According to this article the sale of firearms increased greatly in the village for protection. The first citizen to shoot at the ghost was Bruce Sweezy who had bragged to all his friends that he would—so when confronted with the actual ghost he had no choice but to fire. Unfortunately as he fired his hand was to close to the muzzle so the bullet hit his hand instead, shattering the bone. 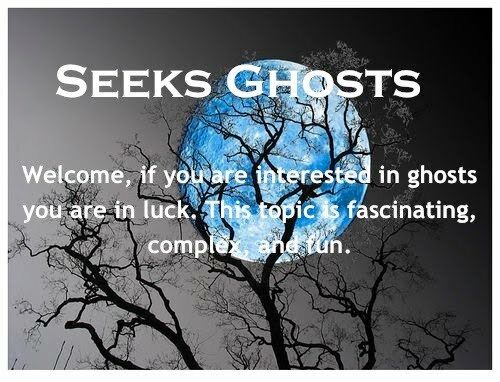 Despite the ghost backing down Sellors and his friends were “determined to capture the ghost.” It was stated they were giving up their Sunday visits to their girlfriends to pursue the ghost. There was even “a wager” that had been made that if he and his group succeeded the village candy shop would not be able to supply the number of “boxes of candy” that were bet. The name of the writer of this article is not given but it is obvious it was written tongue-in-cheek. What is interesting is that the prevailing view back then among the villagers was that they could “shoot” a ghost or even “capture” it. One of Japan’s most well known ghost stories is Yotsuya Kaidan or Oiwa. This story was first told in the form of a Kabuki play in 1825. The story that is told today bears little resemblance to the original story. However the basic elements have remained the same. This story is about a female ghost who seeks revenge. This version of the story is faithful to the original. This story begins with a murder. Tamiya Iemon (iemon), an unemployed ronin—a samarai who has lost his masters favor—is married to a loving, devoted wife, Oiwa. He kills his father-in-law because this man has found out about Iemon’s evil past deeds. Oiwa trusts her husband so she believes him when he comforts her and tells her he will help find her father’s murderer. No longer a samarai Iemon is forced to make a living as an oilpaper umbrella maker in order to support his young wife and baby. His lowered circumstances and the fact he is becoming bored with his marriage cause him to resent his young wife who he had at one time loved. At this point, Iemon’s wealthy neighbor lures him into an evil scheme. The neighbor knows his granddaughter loves Iemon so he mentions to Iemon that if he were not married he could marry his beautiful granddaughter and have all her wealth. Iemon wanting the granddaughter and her wealth devises a plan to murder Oiwa. Once again devoted to her husband Oiwa is blind to her husband’s evil nature. Iemon gives Oiwa a medicine he states will strengthen her but it is actually poison. Iemon watches coldly as the poison disfigures his wife—her eye droops and big chunks of her hair start to fall out. He is disappointed that she does not die. When Oiwa sees herself in a mirror for the first time she is completely undone by her disfigurement. This combined with the fact that she now knows her husband has tried to murder her is more then she can bear—her knowledge of his betrayal causes her to die of a broken heart. When Iemon discovers Oiwa’s faithful servant, Kobote Kohei knows what he has done he accuses him of theft and arranges for someone to kill him. He then has Kohei and Oiwa’s bodies strapped to two sides of a wooden door and thrown into a river. Without a care for what he has done Iemon plans for his new marriage. 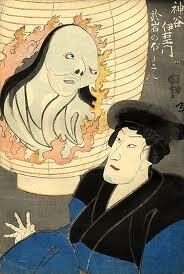 To his horror on his wedding day as Iemon lifts his new brides veil he sees Oiwa’s disfigured face. He instantly beheads her with his sword only to discover he has killed his new young bride. Terrified, he flees to the neighbors’ house to tell him what he has done but before he can confess Kohei’s ghost confronts him. Iemon slashes at this ghost with his sword only to find he has killed his new father-in-law. From then on everywhere that Iemon goes Oiwa’s vengeful spirit pursues him. He even sees her disfigured face reflected in the lanterns that light his way. Seeking escape he travels to the mountains where he goes fishing but instead of catching fish he hooks the door that holds Kohei and Oiwa’s corpses. He then runs to a cabin where the vines turn into snakes and the smoke from the fire turns into Oiwa’s hair. At his wit’s end Iemon flees the cabin only to run into Oiwa’s brother who kills him--finally all his evil deeds are avenged. In Japan, a female ghost that seeks revenge is known as an “onryo.” Oiwa just like Okiku, another Japanese ghost story I wrote about here, wears the white burial kimono and has long ragged hair. But what sets Oiwa’s ghost apart from all the rest of the onryos is she has a drooping right eye and she is partially bald-- both caused by the poison. Yotsuya Kaidan when first staged in the Bunsei era was popular because it was a time when women in Japanese society were severely repressed. Oiwa’s character went from a sweet trusting victim to a powerful avenger and the evil Iemon transformed from the tormentor to the tormented which the female audiences appreciated. One of my favorites ghost stories, "The Ghost with the Bloody Fingers," is one that I shared with students of all ages over the years. This story is more fun than scary. Despite the title the story is not gory. My students always loved it. I never used it as a read aloud since it is short enough to just tell. It is not a jump story but it does have a surprise ending. I first heard it as a young girl scout and then years later I read a version of it in Alvin Schwartz’s Scary Stories to Tell in the Dark. I love this story because the main character is a free-spirit 1960’s hippie who just like the family in Oscar Wilde’s The Carterville Ghost is unfazed by the presence of a ghost. I also love it because you can act it out as you tell it. Another reason I always liked this story is it conveys a useful message—which is that often fears can be conquered by just not taking them too seriously. This message I feel is a great one to impart especially to children. 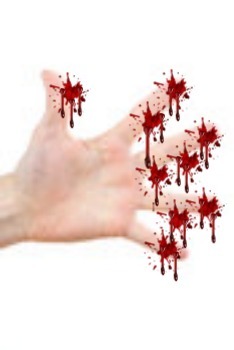 “The Ghost with the Bloody Fingers” story fits into a classic ghost category—that of a person who is brave enough to stay in a haunted house overnight. Many ghost stories from around the world focus upon this theme. Another example of this kind of story is entitled “Wait Until Emmett Comes” a traditional African ghost tale. There is an old Victorian House in the Eastern part of my state that was converted to an inn several years back. It is off the beaten path, but it gets quite a few guests as it is the last lodging for eighty miles in any direction. Because of this many a weary traveler has stayed there for the night. This fact in itself is not unusual but what I am about to tell is. 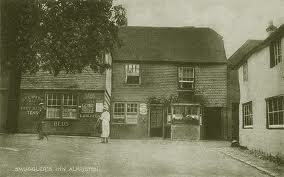 Because it was a small inn with only six rooms, the house would fill up quickly especially in the summer months. On one such summer evening a weary businessman entered the Inn looking for a room. The bored clerk at the welcome desk stared at him. "I have no more rooms available." The businessman not accepting no for an answer persisted. “Listen son, I am bone tired do you have a couch or something I can use for couple of hours." Relieved, the businessman slapped him on the back. The man paid, the clerk gave him the key and then he pointed the way. In a panic the man grabbed his car keys and ran. Finding the room neat and tidy the woman forgot about the clerk’s warning. She changed into her pajamas and switched on an old TV set in the corner. She lay down on the bed watching an old black and white movie. She fell asleep leaving the set on. Gathering her wits she ran from the room. She awakened the clerk and insisted he retrieve her belongings and then she quickly left the inn. Later that month a violent summer storm hit the area. Rain poured from the sky relentlessly. A young hippie with a long beard, his hair tied back in a ponytail, holding a motorcycle helmet with a peace symbol attached and a guitar case rushed into the inn’s lobby. Water dripped from him as he approached the clerk. The young man glanced over at the lobby couch. The clerk again shook his head in the negative. The young hippie set down his helmet and guitar and spread his arms. The clerk reached for a key. “Cool!” The young man grabbed the key, saluted the other man and went upstairs. Grabbing towels from the bathroom the young man dried himself off. He then removed his boots and took his guitar out of its case. He propped the pillows up on the bed and stretched out. As he started to play his guitar the closet door opened with a loud bang. The young man continued to play so the moaning became louder. In the Public Record Office in Belfast, Ireland there is a manuscript that was kept for generations by the Blacker family. In the 17th century, Lady Betty Cobb told the Blacker family a most extraordinary story she had been told by her father, Lord Tyrone, and aunt, Lady Riverton. This story is still told with relish in Ireland today-- it is the story of the Beresford Ghost. Lord Tyrone (John le Poer) and Lady Beresford (Nicola Sophia Hamilton) was born in Ireland to titled families. Both were orphaned at an early age. John and Sophia were given into the care of the same guardian who took these two under his wing and taught them his belief in Deism. So these two were raised with two very different religious beliefs, which must have been perplexing. Because of this John and Sophia made a solemn promise to each other, they agreed that whoever should die first should appear to the other in order to let them know which religious belief was favored by God. Several years later Sophia married Lord Tristram and became Lady Beresford in 1687. Soon after, Lord Tyrone (John) married as well. The two families remained close often visiting each other. One morning while visiting Lady Beresford’s sister at Gill Hall Lord Beresford having left his wife asleep and gone for a walk noticed his wife appeared at breakfast pale and tired, inquiring about his wife’s health he was informed that she was quite well, she then entreated him not to ask any more questions. Taken aback he didn’t question her further but then he noticed she wore a black bandage around her wrist so he questioned her again, she again pleaded with him not ask her any more questions. Beresford dropped the matter and followed her wishes. Shortly after breakfast he noticed his wife was overly anxious for the post to arrive. He gently inquired if she was all right. To his amazement, she informed him that she was waiting for a letter that would inform her that Lord Tyrone her brother had died the previous week on Tuesday. Later that day a letter did arrive sealed with black wax. This letter informed them that Lord Tyrone had died the previous week on Tuesday at 4:00 o'clock. His wife accepted the news and told him that now she felt comfortable telling him that she was with child and it was going to be a boy. Curious but respecting his wife’s wishes Lord Tristram did not ask her any more questions. Within the year his wife presented him with a son and six years after this Lord Tyrone died. Lady Beresford after her husbands’ death went into seclusion never intending to marry again. But as fate would have it a much younger man than herself, Richard Gorges, a clergyman’s son and an army officer, persuaded her to change her mind. She gave birth to another son and two daughters but their marriage was not a happy one and at one point the pair separated. Later reconciled, Lady Beresford bore him another son. Shortly after she came out of her confinement she sent for her eldest son Marcus Beresford and her married daughter Lady Riverton to join her for a birthday celebration. She also invited Dr. King the Archbishop of Dublin, the clergyman who had christened her and that she had kept in close contact with. They all found Lady Beresford in the best of spirits. In a conversation with Dr. King, she confided to him that she was forty-eight that day. Lady Beresford called her daughter, Lady Riverton and her eldest son Sir Marcus, the son of Lord Beresford to her bedchamber. She told them the truth of her meeting with the ghost of Lord Tyrone. She described how she had woken up early one morning while visiting her sister to find her brother's ghost sitting on the edge of her bed. He reminded her of the solemn promise they had made years before and that he had returned to inform her that God preferred the revealed religion. His ghost also informed her that she would shortly bear Lord Tristram a son but six years later her husband would die. He then told her that this son would grow up to marry his own sweet daughter. He told her that she would remarry after Lord Tristram’s death and that she would die herself at the age of forty-seven as a result of a difficult birth. Trembling with nerves Lady Beresford admitted to her daughter and son that she had begged the apparition of Lord Tyrone for some proof so she would know in future that it wasn’t just a dream or a trick of her imagination. He made the hangings on her bed drawback in an unusual way and he wrote his signature in her pocketbook. But she continued to plead with him to give her some substantial proof. Lord Tyrone then touched her wrist, which caused the sinew to shrink and her nerves to wither, the apparition then admonished her to "not let any human eye see your wrist while you are alive." Eyewitness accounts state Lady Beresford always wore a black band around her wrist. Having finally told her story she requested they both leave her so she could rest. Hours later when they returned they found Lady Beresford dead. Her daughter removed the black band from her wrist and discovered that indeed her wrist was exactly like her mother had described. After his mother’s death Sir Marcus did marry Lord Tyrone’s daughter, which the ghost had revealed to Lady Beresford even before her son Marcus was born. Lady Betty Cobb hearing this story from her father and aunt, Lady Beresford’s two oldest children, told the facts to the Blacker Family who preserved it in their family papers. Edwin Booth the older brother of John Wilkes-Booth, who assassinated President Abraham Lincoln, is said to be the ghost that haunts Springer Opera House in Columbus, Georgia. As legend states he promised that after his death he would return and haunt the Springer until it staged a performance of “Hamlet” once again. According to some he made good on this promise for many claim his ghost has haunted the opera house ever since his death in 1893. Witnesses state his ghost is sometimes restless, other times helpful and at other times roguish. 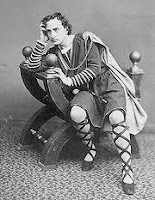 Edwin Booth was a famous Shakespearean actor in the 19th century who toured throughout America and the major capitals of Europe. * He performed first with his famous father, who was also an actor, in Richard II when he was sixteen years old. His infamous brother John Wilkes-Booth was also an actor. The three appeared in one play together. Edwin was a Unionist so he and his younger brother did not get along. When John shot and killed Abraham Lincoln in 1865 the entire Booth family had to go into seclusion. Edwin in 1869 did petition President Andrew Johnson for his brothers’ remains so they could be buried in the family plot, but for the rest of his life he disowned his brother and would not even speak his name. It wasn’t until several months after Edwin was forced into seclusion in 1866 that he ventured upon the stage again. When he did he played “Hamlet” which eventually became his signature role. When he appeared at the Springer Opera House he played his now famous role of Hamlet. Georgia welcomed him with open arms which some say is one reason he returned to the opera house after his death. In an ironic turn of fate Edwin Booth actually saved the life of one of Lincoln’s sons, Robert Todd Lincoln, in early 1864 ** just months before his younger brother shot and killed Lincoln at Ford’s Theatre. The incident happened at a train platform in Jersey City, New Jersey. The platform was crowded and Robert Todd Lincoln was pressed against a rail car. As the train moved without warning Edwin Booth saw Robert lose his footing and drop down in a space between two cars where he lost his balance and couldn’t move—Booth quickly hauled Robert back up to the platform by his coat collar. If Edwin had not reacted so fast Robert Lincoln would have been crushed to death. As the story goes Robert recognized the famous actor immediately and thanked him by name. Another ironic twist is Edwin Booth didn’t know the identity of the man he had saved until months after the assassination of Abraham Lincoln when a friend told him the man was Lincoln’s son Robert. This news is said to have given him some comfort but he never came to terms with the fact that his brother had murdered Abraham Lincoln. The presence of Edwin Booth's ghost is often felt and sometimes seen at the Springer Opera House. One tour guide has reported a phenomenon that many have witnessed. The smaller upper balconies are no longer used because they are considered a fire hazard so the doors to these seats remain shut but many have reported seeing all these doors open as they enter the main hall. Several workers state that if they are in the opera house alone they almost always hear strange unexplained noises. A small group of people one night stood near the portrait of Edwin Booth that hangs near the lobby. As they were talking about his ghost they were facing the bar that serves refreshments to the theatre’s patrons. Without warning they saw one of three wine bottles that were sitting on the bar tip over without cause and roll down the flat surface. One annoying thing that Booth's ghost does is to tap people on the shoulder—when they turn no one is there. A female that works in the costume shop stated that the dress forms they hang the costumes on when they are building or sewing them were scattered around the room but when she turned around these forms were all lined up in a straight row. Edwin’s ghost is known to be partial to ladies. They encounter him more often than men. Another female employee went to the back of the theatre and outside to where there is a table and chairs where the workers often unwind and relax after a show. She was alone so she was surprised to see what she thought was a figure of a man wearing a hat sitting in one of the chairs, she stated, “Oh, is there someone here?” But as she approached the figure disappeared. Yet another female employee at the Springer has had many encounters with Booth’s ghost. This witness was for many years the costume designer at the Springer. One night she was searching the theatre’s costume loft over and over trying to find a specific coat. Finally giving up and frustrated she stated out loud, “Where is that large man’s evening jacket?” She walked down the aisle to leave and turned when she heard a noise. To her surprise a piece of clothing was on the floor in the middle of the aisle she had just passed. She picked up the piece and realized it was the jacket she had been looking for. After this initial incident she found over the years that all she had to do was announce I need that pair of shoes or I need that belt and the exact item she was looking for would be lying on the floor when she returned to the costume loft. Because of this she is convinced that Edwin Booth was helping her. * From 1863 until 1867 Booth managed the Winter Garden Theatre in New York City, when this theatre was damaged in a fire he built his own theatre, Booth’s Theatre, in Manhattan. In 1888 Booth founded the Players’ Club for actors and other artists. 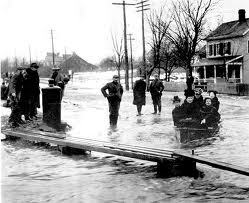 ** Some historians state the incident at the Jersey City platform happened in late 1863 instead of early 1864. Some state this story actually happened others state that it is just an English folktale or legend that has been passed down. Regardless, the following story is a good example of how humans use ghost stories to draw comfort. The Angel of Mons involves a protective spirit that were seen by British troops during World War I in Mons, Belgium. At the beginning of the war the first clash between the British and Germans occurred in August of 1914 near the French frontier at a 60-foot- wide canal in Mons. The English had 70,000 troops but the Germans outnumbered them almost 2 to 1. In this fight known as the "Battle of the Frontiers" the Belgiums and French were fighting alongside the British but these allies were all driven back to France. Despite the Germans superior numbers the British where able to inflict heavy losses using their rapid-fire rifles. But as the day wore on the commander of the British army realized that their position was untenable so he ordered his men to withdraw to Paris as soon as possible. The British troops hastily retreated with the Germans closely pursuing them. It was at this point that something quite extraordinary happened according to eyewitness accounts. Many British soldiers reported seeing a “supernatural apparition in the sky.” This apparition was described as “three angel figures” that appeared to ward off the attacks by the Germans. These witnesses went on to state that that they would not have been able to successfully retreat if it had not been for the intervention of these angelic figures. At the time of these reports several skeptics came forward despite the numerous eyewitness accounts to disprove what these soldiers had seen. One fiction writer in particular, Arthur Machen, wrote a book entitled The Bowmen and Other Legends of the War. In it Machen claimed that the Angel of Mons story was inspired by his book. But his claim was refuted because there were references made to the Angel of Mons before his story was even published. Many soldiers who witnessed the unusual event, responded to Machen’s claim by writing letters stating that they would swear on their honor that they had seen the Angels at Mons with their own eyes. Several of these letters were published at the time so there is still a record of them. Some discount his statement because John Charteris was known to be involved in propaganda activities during the war. As a result skeptics at the time claimed that the Angel of Mons was a creation of British Intelligence. But this does not explain the passionate eyewitness accounts that came out after the retreat that day. Some historians who have written about the Angel of Mons and World War I state that it is obviously a legend. They state if these angels really appeared the Germans would have been so shaken up they would not have continued on. These historians support this belief by stating that just the opposite happened after the Battle of the Frontiers. They point to the fact that the German victory during this battle made them so confident that they swept across the Belgium countryside conquering everything in their path on their way into Northern France. While the British allies scrambled to rally their defenses. This is all true but I am not sure how this proves the Angel of Mons is just a myth. There are still the eyewitnesses accounts that state this divine intervention saved British lives that day. Some skeptics claim that no eyewitnesses to the Angel of Mons where ever found—this is not true because there are many eyewitness accounts written down about what the soldiers saw that day in August of 1914. Many of these accounts were cited in newspapers, magazines, and books. Artists used them to paint their own versions of the Angel of Mons. Here is just one of the eyewitness accounts I have read--A grandson who told how his grandfather, a veteran of WWI, had been a hard drinker up until that day at Mons when he saw the angel. This experience so altered his grandfather that he returned from the war a reformed man. He became a teetotaler and a pillar of his community. 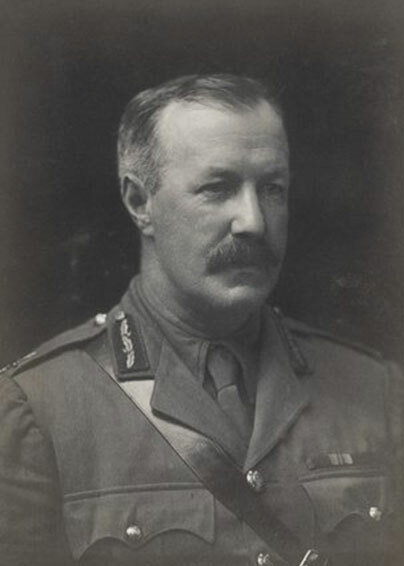 One distinguished historian who believed the Angel of Mons story was A. J. P. Taylor. He believed the story because of the numerous accounts. But today, despite these soldier accounts that told how their lives had been saved-- this story is considered just a legend. This is surprising since many people universally believe that a divine power intercedes in their lives--then why not during this battle? 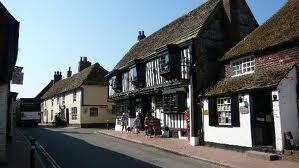 Today Alfriston is a charming and very beautiful village in East Sussex England. But this small quaint village has a very interesting and sometimes violent history. During the Napoleonic Wars the village thrived as a result of a friendly invasion. The villagers billeted a large number of troops that were stationed there in case the invaders should try to get past the Martello Towers and cliffs along the Channel coast. At this time the villagers were able to make a good living from the food, drinks, and other services they provided these soldiers. Collins’ gang was known for a reckless violence that probably also contributed to the villagers’ silence. Collins and his gang used the Cuckmere River to bring their contraband from Seaford, a Channel coastal town, to Alfriston from which it was distributed inland. Collins was finally caught wrestling sheep in the 1830s and was transported to Australia. At this point his gang of smugglers finally disbanded. At the height of the Alfriston Gang’s activity in the late 1700s the son and heir of the Crowne family who owned Place House Estate chose the wrong moment to take his little white dog for a walk. It was after dark and as this young man walked along a small narrow path with his dog—known today as The White Way that led from Seaward to Alfriston **--he was set upon by smugglers he disturbed going about their work. When this path was being widened in the early 1800s the young mans’ skeleton and that of his dog were found in a shallow grave near where they had walked. It was discovered that a blunt object had crushed his skull. Legend states his dog was killed as well because it probably howled after they killed its master. After dog and master where murdered a most unusual haunting started to occur near the path where they were killed. Seven years after the Crowne family heir disappeared a young couple walking along the path stopped in horror as they watched a small white transparent dog walk right through a solid embankment. Exactly seven years after this yet another witness saw this small white dog disappear into thin air. Yet more villagers saw this ghostly dog every seven years. Some state that this white dog was no longer seen after the young man was given a proper burial at St. Andrews—known in the area as the Cathedral of the Downs. Others state the dog is still seen, some people even claim that if you see this ghostly dog it will bring you bad luck. This notion started when one witness in more recent years noticed the dog walking along side him, it then just disappeared. He broke his leg right after seeing this transparent dog on the path. England has many ghost stories connected to smuggling. Often the smugglers themselves created these ghost stories in order to keep people afraid of venturing out at night, which was the time they plied their illicit trade. However, there are a few ghost stories connected to smugglers that seem to have some truth, in future I will share some of them. ** The White Way might be named this because of the chalk that cuts through it, just like Dover, Seaford has white chalk cliffs. The classic “Hitchhiker” ghost story is well known in the United States. In a past post I shared one of them on this blog. While reading ghost stories from around the world I have found that the Hitchhiker story is by no means unique to the United States in fact one similar story to ours has been told in Japan for several generations. In modern day Tokyo taxis are considered as haunted as any ancient graveyard. Many drivers or pullers over a 150-year plus history have told stories of a passenger, specifically a young girl, who gets on or in their cabs and then simply disappears. 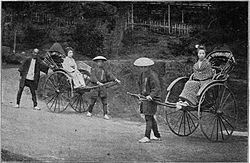 Why I say ‘pullers” and “gets on” is that the cheapest public transportation in Japan up until World War II were jinrikishas (there are several alternate spelling of this word) or rickshaws which seat one person and are pulled by human runners. One such rickshaw puller on a rainy autumn night near Aoyama Cemetery in Tokyo picked up a quiet young woman drenched by the rain. It was dark so he did not get a good look at her face but she seemed sad and he guessed she must have been visiting the grave of a relative or friend. The address she told him was across town so he quickened his steps as he ran. When they arrived at the address the young girl do not move to get out instead she gazed up at a second floor window and indicated she wanted just to stay put. The puller saw a dark figure pacing in front of the window. After ten minutes the young girl softly gave the puller another address that was back near the cemetery where he had picked her up. The rain continued to pour down in sheets. When they arrived at the new address the puller noticed it was a large house in a good neighborhood. As he set his wooden poled handles down and turned he was startled to see an empty seat. Thrown into shock he stood frozen in place. A man approached from the shelter of the house. He walked up to the rickshaw driver and offered him the exact change he was owed for the young girl’s fare. Seeing the pullers confusion he quickly explained that the young girl was his daughter, who had died in an accident several years back. He pointed to the Aoyama Cemetery, she is buried there. The father went on to explain that from time to time his deceased daughter would hail a ride and after she visited her old boyfriend’s house she would ask to be driven home. The father thanked the puller and sent him on his way. It is interesting how similar this story is to our Hitchhiker stories here in America.